There has been a fair bit of demand from us to see if we can get a reliable good value for money alternative to some of the glossier PLA’s out there. As such we asked the tech guys at the factory that makes our filament to have a look at getting us something. We can now honestly say that we have some very good looking Satin coloured filaments. Due to a low shrinkage factor PLA does not typically deform after printing and thus does not really need a heated bed. Best of all, PLA is a biodegradable and is a manufactured using renewable resources! We use an extrusion temp of 190-210C on a slightly heated bed. Adhesion to glass is good when 3DLac or Dimabond is used but we have fantastically good results on Kapton tape too. This @EmvioEng Pink Satin PLA filament is glorious. First print with our sneak perk of @EmvioEng‘s upcoming Chroma Pink Satin PLA #filament, in our traditional Material Sample swatch. They make a striking first impression, but will they make great prints? Tried the Pink Satin so far – I am very impressed. The filament prints as smoothly as other Chroma PLAs offered by Emvio, but has this stunning, light-catching pearlescent that sets it apart from the other filaments in the Chroma line. It’s flashy (in the best possible sense of the word) and photos don’t do it justice. It’s also strong – I’ve used another company’s “Elixir” in the past and often found prints ripped themselves apart just coming off the bed, with very poor layer adhesion. I haven’t hit any issues with that on the Chroma Satin (even when printing vase mode prints!). Parts are just as strong as their standard Chroma PLA counterparts. They do take standard paints well, and work well with cyanacrylate glue (Superglue). Splice tests with a Palette 2 using standard PLA settings for both have also been very successful. Need Help? Give us a shout! Have a question about suitability or use of a product? The Craftbot Plus has won another award on the 3D hubs website! Now we have a special version specifically for schools, the CraftBot Plus and PrintLab Education bundle that includes the Printlab curriculum and extra spares just in case! Full enclosed for safety of your students with a lockable door too. Of course still the all steel frame for stability and accuracy. Promising you can get from unpacking to printing your first 3D object even in minutes.We are proud to have this machine on our range! For professionals and demanding hobbyists alike, the Bondtech QR 1.75 mm DualDrive extruder is the one of the best upgrades you can do to your printer. No more underextrusion due to slipping filament! This one is for the machines that work with 1.75 mm filament (we also have ones for the 3.0mm filaments too). We are exclusive UK and Ireland distributors and will always carry spares. Only need to get the cables sorted. Price reduced as cables not arrived yetWorld renowned high-performance external motion controller for Mach3 and Mach4. We are an official reseller for the Ethernet Smoothstepper in the UK. Our bundle includes an Ethernet Smoothstepper, 3 high quality 26 pin header to 25 pin D connector like the parallel port cables and a 3m long CAT 6 Ethernet Cable. Chroma PLA 2.85mm Premium Filament 1kg is our own brand premium PLA 2.85mm diameter. No more snapped filament during that long print! Comes on a transparent spools as standard, in a variety of exciting colours. Yes, it is a true 1kg spool! As always free UK shipping included in our price!Select your colour from the drop down menu below. New colours will be available shortly too. For professionals and demanding hobbyists alike, the Bondtech QR 3.0 mm DualDrive extruder is the one of the best upgrades you can do to your printer. No more underextrusion due to slipping filament! This one is for the machines that work with 2.8-3 mm filament (we also have ones for the 1.75 mm filaments too). The Craftbot Plus has won another award on the 3D hubs website! Now we have a special version specifically for schools, the Crafbot Plus Education version! Full enclosed for safety of your students with a lockable door too. Of course still the all steel frame for stability and accuracy. Promising you can get from unpacking to printing your first 3D object even in minutes.We are proud to have this machine on our range! All preorders are now closed. We await the end of the Chinese new year to place more stock orders. Please express interest.Presenting the extremely capable Emvio Machine Tools EMV-25VBB Hobby Milling machine! Silent, compact with loads of travel and of course compatible with our quick change tooling! So excited to finally launch our first ever machine tool. This machine is a perfect hobby milling machine and also a fantastic base for a CNC conversion. Bondtech BMG Extruder head only - 3:1 mini Powerhouse! 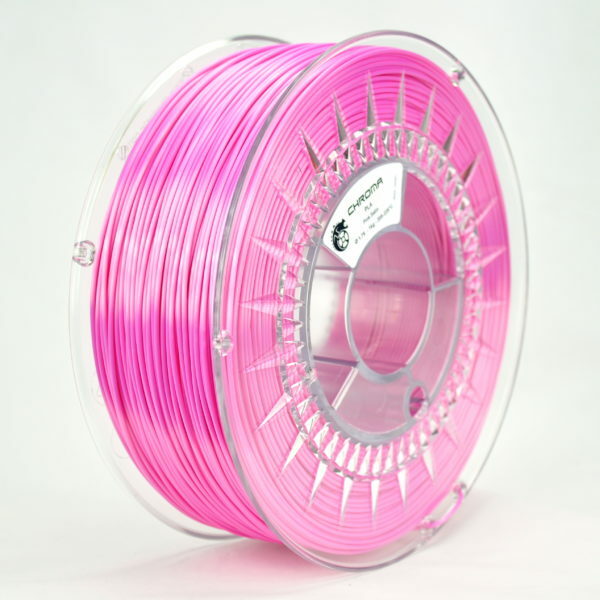 Techna Polycarbonate Filament is another one of our must try materials. Balances of toughness, dimensional stability, optical clarity, high heat resistance and excellent electrical resistance. Resistant to temperatures up to 114C and also score low on the flammability tests too! This is definitely an advance material but if you need it, you need it! Our most versatile engineering filament is arguably the Techna PET-G 1.75mm filament. As it is amorphous by nature, PET-G has an almost transparent look with can translate nicely if care is paid to the extrusion temperature. Our PET-G offers reliable printing with good mechanical properties so you can expect the benefits of printing with both PLA and ABS rolled into one cool spool! Check out the colours below! The Techna Crystal clear Filament is special. Firstly it prints transparent to translucent. Secondly it is food contact approved, thirdly it does not craze when stressed. Wonder what you would print with this lovely material. Polyprop-EP is our own brand premium quality but well priced Polypropylene filament. Prints very well, with good adhesion between layers. This material is as hydrophobic as it gets! May take some getting used to though as very few materials like to stick to Polypropylene but we found that clear packaging tape (!) and gluestick work well. The materials inherent flexibility and elasticity make it the ideal choice for living hinges, tupperware and other similar applications.Print at temperatures 230-250 °C. This should make some very nice dishwasher and microwave safe useful items. Woodloaded - Not So Dark filament is exactly that. This one has a colour similar to Pine when printed, can give a nice grain texture when using a slicer that allows the temperature to vary. Oh and it smells like caramel too!